A Lancaster bakery has been nominated in the national 2018 Farm Shop and Deli Awards for Best Bakery. Filbert’s Bakery, in King Street, opened five years ago and is run by Felicity Duirwyn. It is renowned for its long fermentation bread, pastries and other goodies baked daily by a team on site which has recently expanded to over eight staff members. Together they make more than 1,000 loaves a week. Felicity said “We are thrilled to be recognised in this way! The bakery is open between Tuesday and Saturday, and sells white breads, rye breads, wholemeal breads, unusual speciality loaves such as Fig & Fennel or Green Olive, and pastries and other sweet treats. There are 58 category finalists who have been shortlisted for the award. 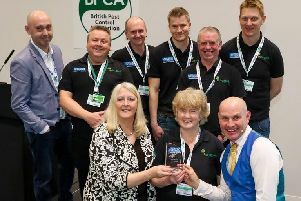 The regional winners will be selected from the category finalists and also announced live at the awards ceremony on April 16 at the NEC in Birmingham.